I wasn’t the best at rolling sleeves in my time, wasn’t the worst either, probably right around the middle of the pack. Leading that pack from Guatemala, though, is their marine corps commandant. Seriously, those rolls are so sharp, they probably outmatch half the Marines in the Corps. Col. Medardo Monterroso Suarez is so pumped about U.S. Marines training his troops that he not only wants to completely adopt their doctrine, but apparently their uniform presentation as well. Recently, we sent Marine Corps Times reporter Gina Harkins and staff photographer Mike Morones down into the heart of Central America to cover the Marine Corps’ contribution to fighting the drug war. There, they visited Marine outposts in Belize, Guatemala and Honduras. All the troops were enthusiastic about the opportunity to train with Marines, including Monterroso Suarez . Read the full story in this Monday’s issue of Marine Corps Times, or online on Marine Corps Times Prime. See, USA has a GUATEMALAN one. I am so proud of him! My Son is a UNITED STATES MARINE CORP!!! If that is the case, then I think most Guatemalan soldiers fall within that standard. Nice!!! I welcomed TREMENDOUSLY this news of the presence of the USMC in Guatemala grabbing the drug-trafficking organizations by the …horns. Guatemala already has joined the club of the countries that have been infested by the drug trafficking vermin. This, complementing the gang-banging epidemic, is a recipe for national disaster, on the heels of what has been happening for decades here, in the U. S., where -for example- Washington D. C. is Mara Salvatrucha MS-13 “turf” -what a disgraceful shame. The whole “American” and Mexican panorama is well on its way to be mirrored in Guatemala, unless the boot falls down hard on organized crime and stomps it out decidedly. Welcome, Marines, thank you and godspeed. I bet they have better grammar too. 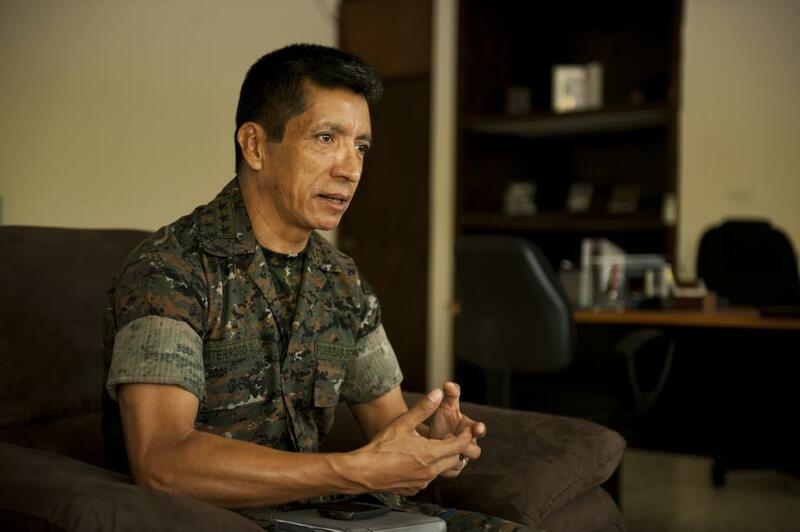 We should probably capitalize Commandant of the Guatemalan Marine Corps to show this man some deserved respect. Those are sharp sleeves though! I agree Faris, American English is dying as weka minded people adopt ghetto slang thinking that it’s cool. A 25+ using the term “my bad” is deplorable.